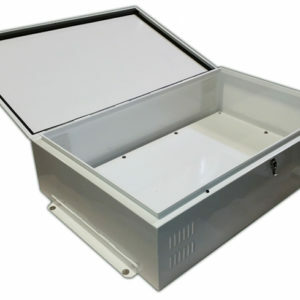 The EB20-0072 is a white powder coated aluminum enclosure for pad or ground mounted applications. It has the capacity to house an Outback 4kW or 8 kW inverter with charge controllers or FP1 pre-wired panel (FPR pre-wired panel does not fit). 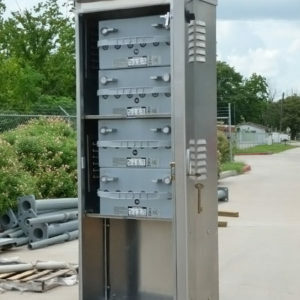 Includes a back panel with Includes 120VAC fan with thermostat and120V 1 A breaker. Fits up to 8-8D or 16 Outback 200RE/GH/NC batteries.